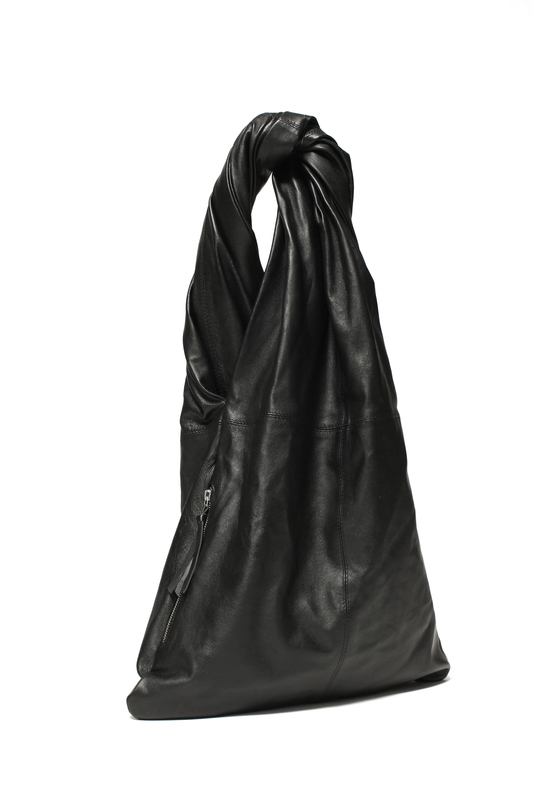 Leather tote with a single twisted handle. The Torta tote is the perfect city carryall. The tote has a large pocket on one side of the bag with zip closure and one internal zip pocket. The tote is fully lined in cotton canvas.